LaFerrari Aperta on display at the Franck Muller exhibit (with Neiman Marcus) at the Concorso Italiano in Monterey. Yesterday we brought you a look at the winner of the Rolex Best of Show Award at the Pebble Beach Concours d’Elegance event in Monterey, California. Today, we take a look at a few watch brands (other than Rolex) involved in the Monterey Classic Car week events. 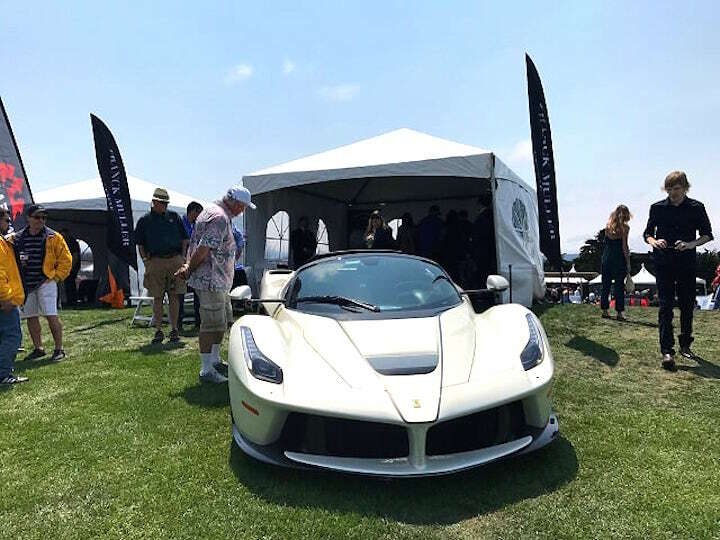 At the 2017 Concorso Italiano event taking place during this car lovers dream week in Monterey, Franck Muller partnered with Neiman Marcus as the retail partner — presenting an exciting collection of watches amidst exclusive Ferraris and top Italian cars. At the Franck Muller and Neiman Marcus exhibit: the incredibly rare and coveted LaFerrari Aperta. Guests could roam from this rare car to the exhibit of rare watches — enjoying an exclusive look at some of the finest Franck Muller watches. 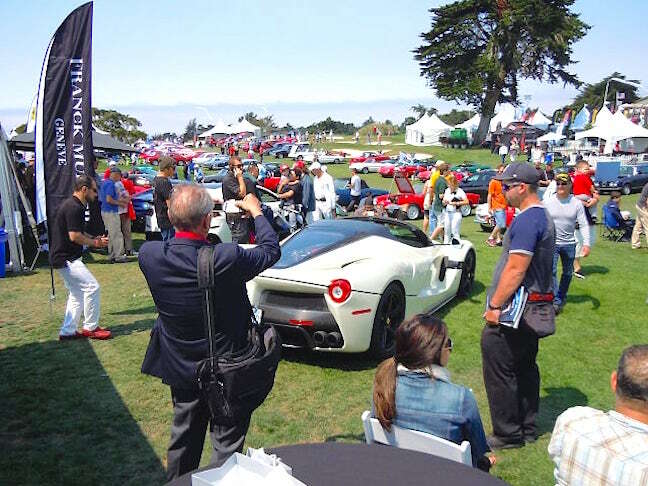 Franck Muller partnered with Neiman Marcus at the Concorso Italiano during Monterey Classic Car week. Parmigiani Fleurier displayed its Bugatti Aerolithe Performance watch at the Bugatti exhibition space at Pebble Beach Concours d’Elegance. As part of Parmigiani Fleurier’s ongoing relationship with Bugatti, the brand was present at the Bugatti booth in the Pebble Beach Concours d’Elegance. 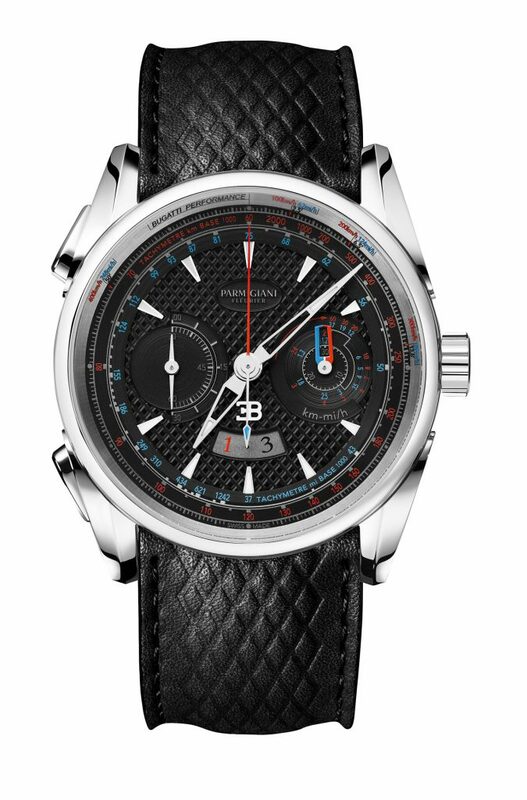 The new Parmigiani Fleurier Bugatti Aerolithe Performance timepiece, which retails for $22,900, was highlighted throughout the show at the Bugatti booth. Guests were able to view the timepiece first-hand, which were displayed in vitrines, while also appreciating the design process, beautifully displayed throughout the booth. Parmigiani Fleurier Bugatti Aerolithe Performance watch, $22,900.